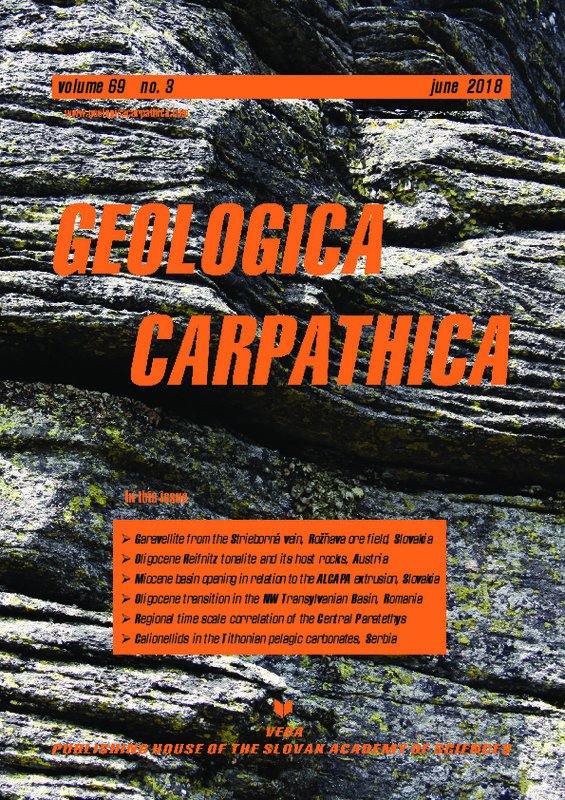 Abstract: The opening and evolution of the Western Carpathians Miocene basins was closely related to the north-eastward tectonic extrusion of the ALCAPA Mega-Unit lithosphere caused by the final stage of collision of the Eastern Alpine–Western Carpathian orogenic system with the European Platform and Alpine convergence with the Adria plate. The roll back effect of the oceanic or thinned continental crust of the Magura–Krosno realms, subduction below the front of the Carpathians in the north-east, east and relative plate velocities led to gradual stretching of the overriding micro-plates (defined as the ALCAPA and Tisza Dacia Mega-Unit). Diverse movement trajectories of the ALCAPA crustal wedge individual segments (Eastern Alps, Western Carpathians, and Northern Pannonian domain) were accompanied by several counter-clockwise rotational phases. Beside the interpreted Early Miocene “en-block” counter-clockwise rotation, most of the rotations in the Central Western Carpathians were caused by “domino-effect tectonics” inside strike-slip zones and took part in the basin opening, which was in most cases followed by rapid subsidence.